The Creek Haus is one of the most unique Texas wedding venues you’ll ever find! Located in a valley, The Creek Haus is a gorgeous + secluded 4 day, 3 night Hill Country Wedding Retreat. Our brides and grooms bring their closest loved ones out to the Texas hill country for an entire weekend of wedding festivities just outside of Austin, Texas. If you’re looking for a one-of-a-kind wedding experience, look no further! The Creek Haus property includes both indoor + outdoor event venue space for up to 150 guests and beautiful grounds to enjoy throughout your stay. Our on-site lodging accommodates up to 70 individuals (think AirB&B) with plenty of space to savor family style meals, take part in group games, and even watch a movie. This is an Austin area wedding venue like no other. The Creek Haus grounds create the picturesque outdoor ceremony space that you’ve always dreamed of. Nestled in between two mature oak trees, your guests will experience an intimate Hill Country wedding ceremony filled with the sounds of the creek flowing nearby. Our long bench seating adds a unique country, family style vibe to your ceremony as well! 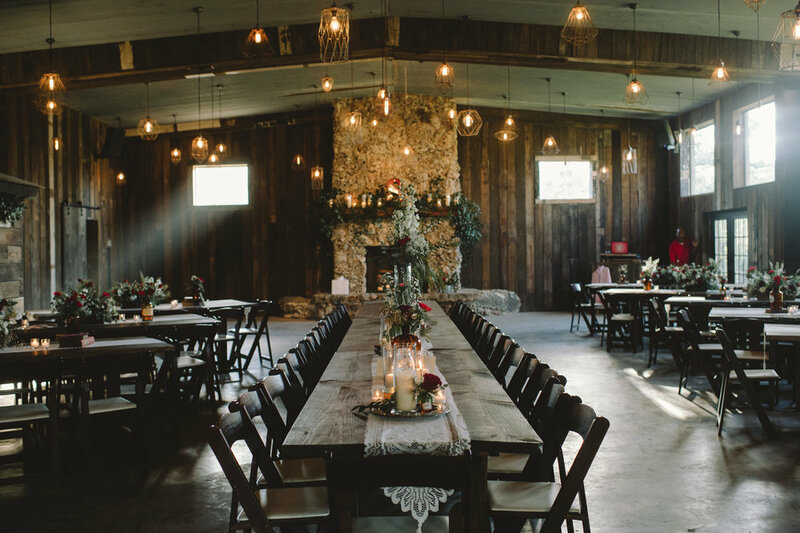 Our barn creates the perfect blend of rustic and romantic for your reception. The indoor reception hall is ideal for couples seeking a Texas Hill Country wedding with a darker, more intimate feel. This space includes Edison bulb lighting, indoor bar with keg taps, a margarita machine, custom fireplace and a large (covered) open air pavilion for cocktails & conversation.